Visionary Veil is Ireland’s only bespoke Wedding Veil design service. Owner and designer Rebekah McCann-Williams is creating wedding veils in Northern Ireland for Brides all over the world. Rebekah herself is inspired by the iconic images of Grace Kelly and Jacqueline Kennedy whose wedding ensembles were timeless and elegant. Rebekah’s love of lace is ever present in her wedding veil designs. 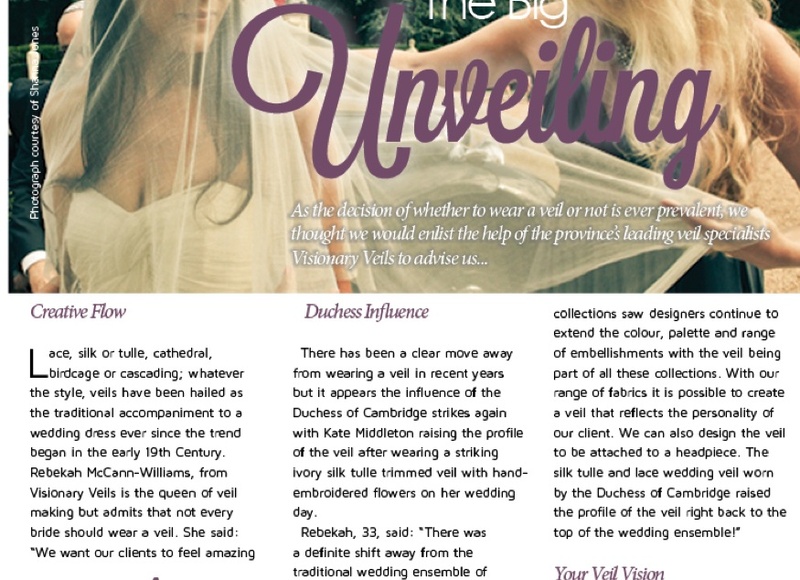 Rebekah was recently interviewed in a Meet the Designer interview for Northern Ireland Wedding Belle Magazine, read how Rebekah began Visionary Veils and what has shaped her Vision. Read the full interview by clicking here.